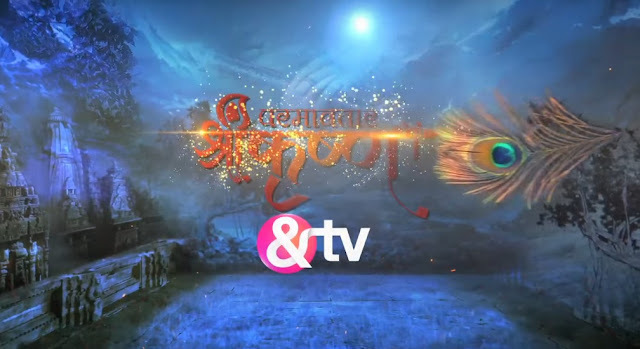 'Paramavatar Shri Krishna' is an upcoming mythological tv serial on And Tv.This channel already telecasted high rated show like Bhabhiji Ghar Par Hai , Jai Santoshi Maa,Waaris etc. &Tv recently launched a new tv show Chupke Chupke. The show will take various aspects of Krishna's life, which will be explained through various facets by Lord Vishnu. the show will tell the story of Krishna and Radha and their profound love. The series will re-create the journey of Krishna on earth and how he teaches a way of life at every step. Lord Vishnu will be seen narrating the many aspects of Krishna’s life. Vishal said "It is said that Krishna is one of the many avatars of Vishnu. So, in a way I have graduated with this role. I think the mythology genre has its own charm and I can't explain the burst of energy I feel while shooting for a mythology show. It feels great to be a part of a show that will portray the making of a superhero"
Vishal Karwal who is best known for his portrayal of Lord Krishna in "Dwarkadheesh - Bhagwaan Shree Krishn" and "Nagarjun - Ek Yoddha", has been roped in to essay Lord Vishnu.